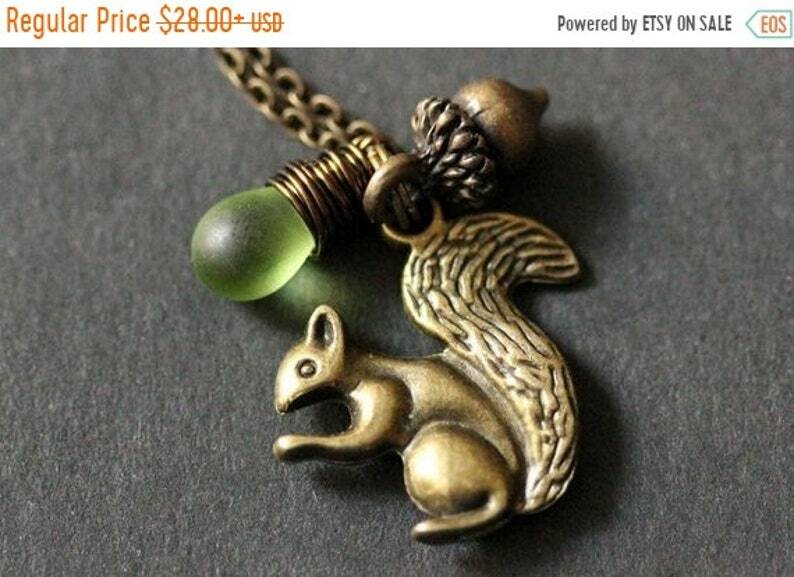 An adorable double-sided bronze squirrel charm has been combined with a glass teardrop charm (in your choice of color) wire wrapped by hand in bronze wire joined with a delicate bronze acorn dangle in this handmade charm necklace. This delicate charm necklace includes a matching bronze chain. If you would like a different color teardrop than those offered in the listing, contact me for availability! EASTER SALE Caduceus Necklace. Medical Symbol Neckace. Charm Necklace. Teardrop Necklace. (CHOOSE Your Color) Handmade Jewelry. EASTER SALE Bronze Treble Clef Necklace. Music Necklace. Frosted Teardrop Charm Necklace. (CHOOSE Your Color) Handmade Jewelry. EASTER SALE Bronze Musical Note Necklace. Freshwater Pearl Necklace. (Choose Your Pearl Color) Handmade Jewlery. EASTER SALE Musical Note Necklace. Music Lover Necklace. Music Charm Necklace with Teardrop and Pearl. Handmade Jewelry. EASTER SALE Tree of Life Necklace. Silver Tree Necklace. Tree of Life Teardrop Necklace. (CHOOSE Your Color) Handmade Jewelry. EASTER SALE Tree of Life Necklace. Bronze Tree Necklace. Tree of Life Teardrop Necklace. (CHOOSE Your Color) Handmade Jewelry. Key Necklace in Bronze with Wire Wrapped Red Teardrop Charm Necklace. Handmade Jewelry. EASTER SALE Musical Treble Clef Necklace. Silver Music Necklace. Treble Clef Teardrop Necklace. (CHOOSE Your Color) Handmade Jewelry.